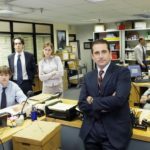 Child-free dates are the best dates! Subtract the palace and fancy hats, and the royals are just like any other parents who will nab the opportunity for a bit of alone time. 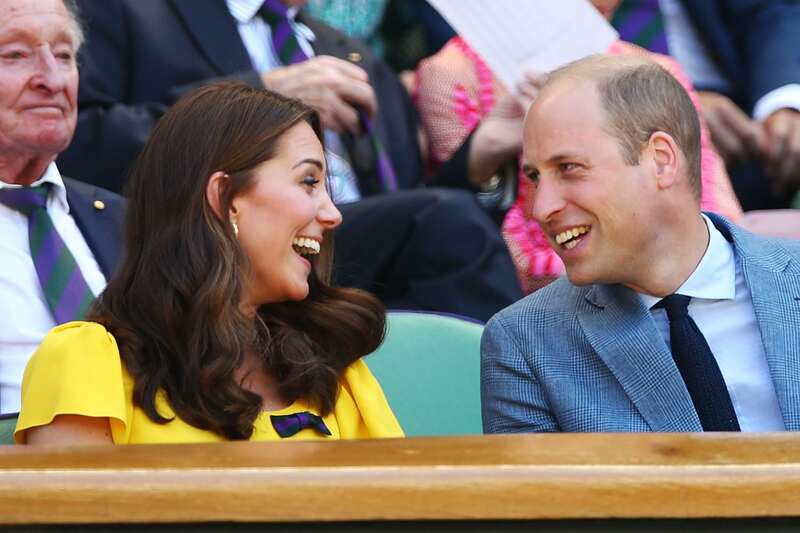 Perhaps that’s why Kate Middleton and Prince William were all smiles during a day date at Wimbledon on Sunday, July 15. 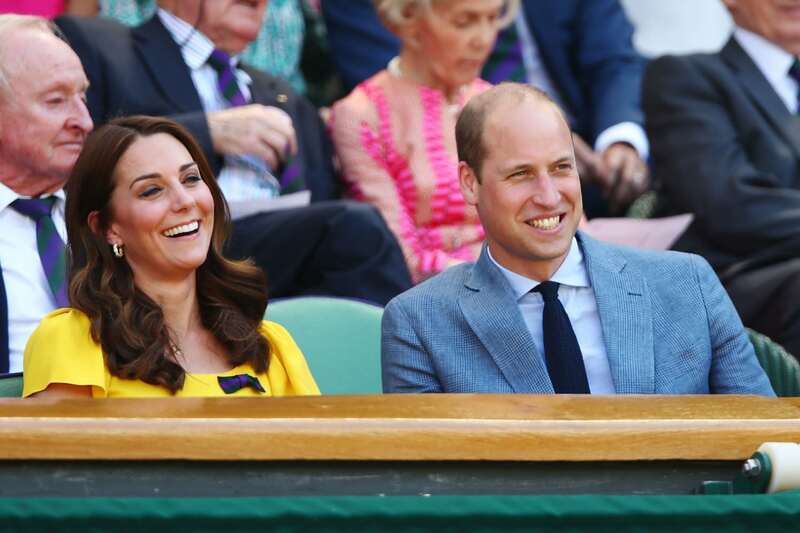 Pictures of the two watching the men’s final showed the Duchess of Cambridge in a sunny yellow Dolce & Gabbana dress and Prince William in a gray suit jacket and dark pants — both grinning and waving to fans as they entered the sporting event. 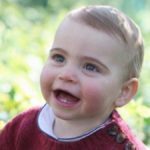 The two royals, who welcomed Prince Louis in April, are also parents to Prince George, 4, and Princess Charlotte, 3.  Duchess Kate accessorized her cheery look with a purple and black bowtie pin, as those are the official colors of Wimbledon. 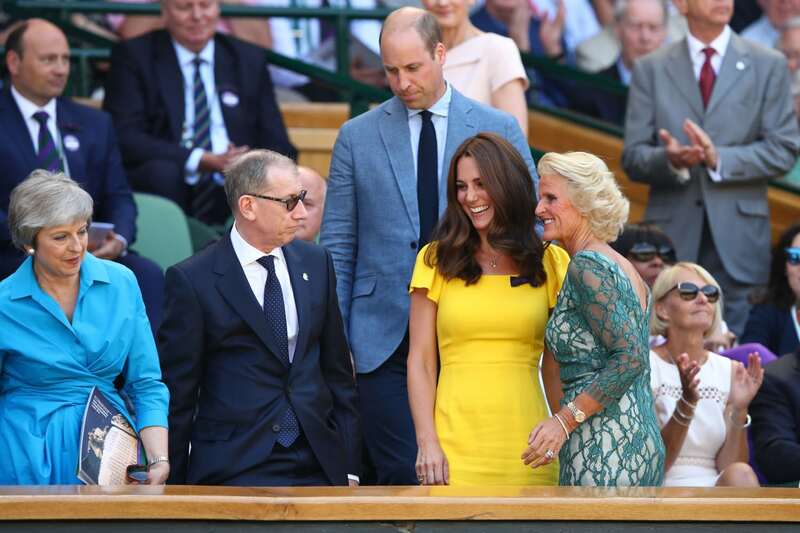 The outing was the second one of the weekend for the Duchess of Cambridge, who made an appearance with Meghan Markle the previous day when they watched Serena Williams play in the women’s final. The sisters-in-law became emotional during Williams’ speech following her loss to Angelique Kerber in which she said she was playing on behalf of moms everywhere. 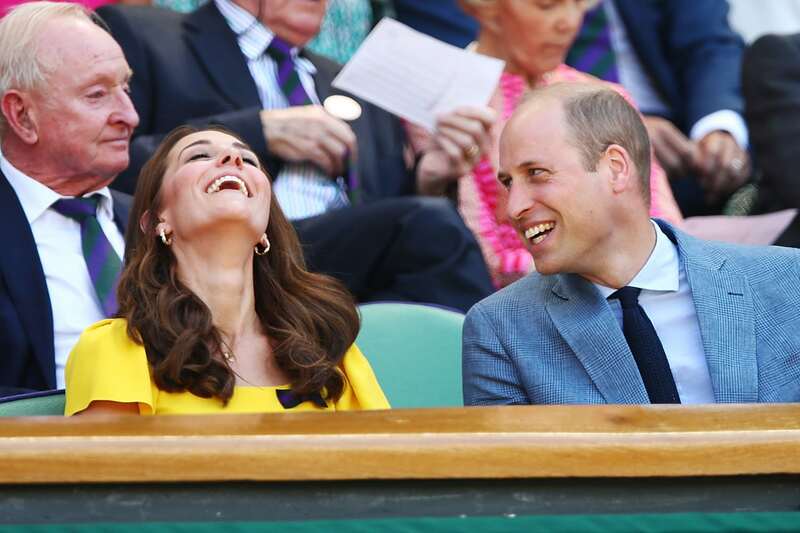 As for William and Kate, it was refreshing to see the pair let loose during the games. 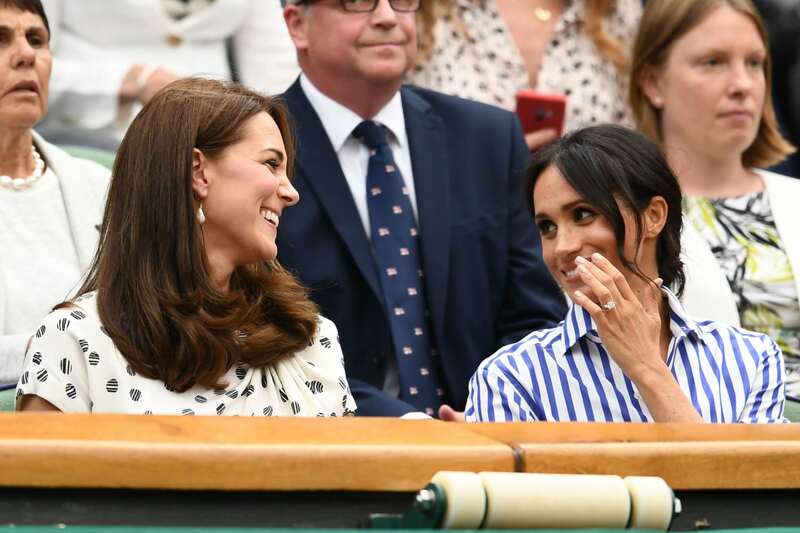 They clapped their hands while watching Novak Djokovic play Kevin Anderson, and at one point the Duchess of Cambridge found something funny enough that it caused her to throw back her head with laughter. The couple shares a love of the sport, both as spectators and participants. In fact, the court is where Middleton made her first solo appearance after announcing her third pregnancy in September. The duo even built a brand-new tennis court at their Anmer Hall home in Norfolk. If the expressions on their faces are any indication, it’s safe to say the couple that loves tennis together, stays together. Or perhaps it’s just the reprieve from mom and dad duty. Either way, time at the courts is time well spent!